Does this week's line-up contain the winner? Possibly. Or then again, maybe not !?! Alcazar: "Blame It On The Disco": It's the return of Stay The Night! Only with a weaker verse, and it's probably a weaker song than we would expect from the 'Zar. But there is a glitterball, and they will give it their all. It will be all about the 'show' on Saturday night and this is always their ace card. And their outfits are fab-u-lous. I.D.A. 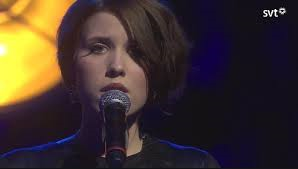 : "Fight Me If You Dare": being second in the running order means you know what to expect by now (although last week's song by EKO is definitely an exception to the rule) so I didn't expect much from this song, and can see it propping up the scoreboard this week. 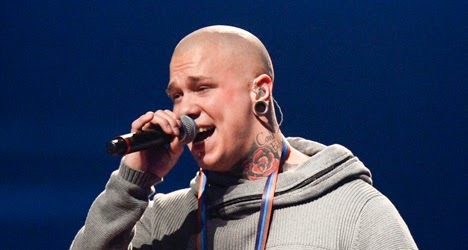 Josef Johansson: "Hela Natten": not really sure what's going on with his hairdo, but I'm happy to report that this electro-ballad is actually rather good and might just steal a qualifying place. Ammotrack: "Raise Your Hands": I was looking forward to them but this is a very average rock song, nothing to get excited about. Ellinore Holmer: "En Himmelsk Sång". Yes there is one of these slow songs every week, usually towards the end of the running order, with no choreography or faffing about. Can't see this qualifying. Anton Ewald: "Natural": cashing in on all the goodwill which he picked up during last year's contest, Anton returns in the mythical 'pimp slot' which has predicted him as this year's winner. I will probably be shot down in flames for saying this, but Anton is a dancer who sings, rather than a singer who dances. His voice sounds very weak here, and if he is to make it to Copenhagen, there will be no recorded backing vocals to hide behind. It would appear that I'm not the only one who's unimpressed with Melodifestivalen this year. Ratings figures published last week show Sweden's most popular TV event is in freefall, and viewers are switching off by the week. Then there's the Swedish media whose knives are out for presenters Anders and Nour. So what's gone wrong? The presenters. When Anders Jansson and Nour El-Refai's names were announced as this year's presenting duo, I thought they were a strange match. I still feel that way; they do not appear to have much charisma or chemistry. The Swedish media have also highlighted a drop in the quality of their scripts compared to previous years. The songs. 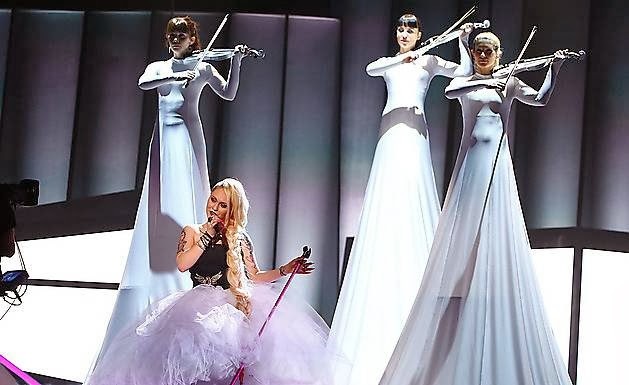 It's called Melodifestivalen, but just how many memorable "melodies" have we heard this year? I'm not advocating the return of schlager, far from it, but some good tunes would be nice! Would this week change my mind about any/all of the above. Mmmm.....no. But let's get on with the proceedings in Gothenburg's Scandinavium. Here at EuropeCrazy HQ, mum continues to lose the will to watch a below-average internet stream. Unfortunately our internet connection isn't up to the job of watching it in HD quality. The stream then crashes/freezes and by the time it has recovered, Nour and Anders have swapped clothes. So that is supposed to be funny? They are becoming increasingly annoying by the week. One other annoying thing this year is the paint-postcards; neither of us can warm to them at all. 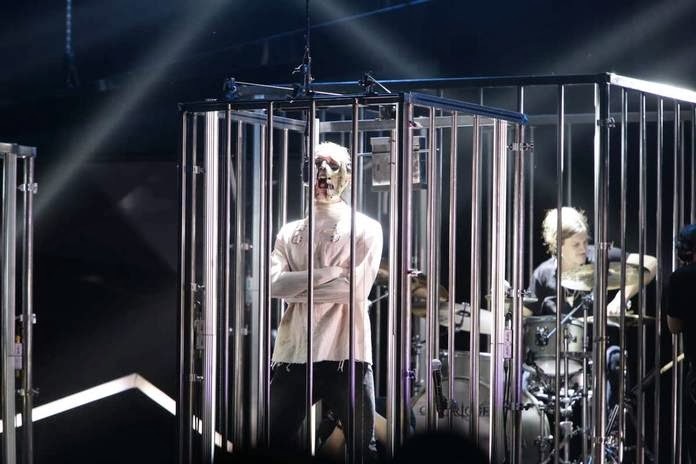 Very smart staging here, with the band members all in individual cages and the singer kicking off the song as Hannibal Lecter then freeing himself from his straitjacket and his cage. This is an assured performance and a very good start to the show. The song isn't too bad (apart from the screaming) and I might listen to it again. L: They did a cover of last year's Melodifestivalen on YouTube which impressed the songwriters so much that they wrote this song for them. M: Don't like this. Thankfully he's stopped "singing". Off topic, I'm about a year behind the rest of the world as I've just discovered Haim, who were one of those 'next big thing' bands touted by the critics last year. What does this have to do with Melodifestivalen, I hear you ask. The next act, EKO, walk the catwalk to a Haim song, so it's a good start. 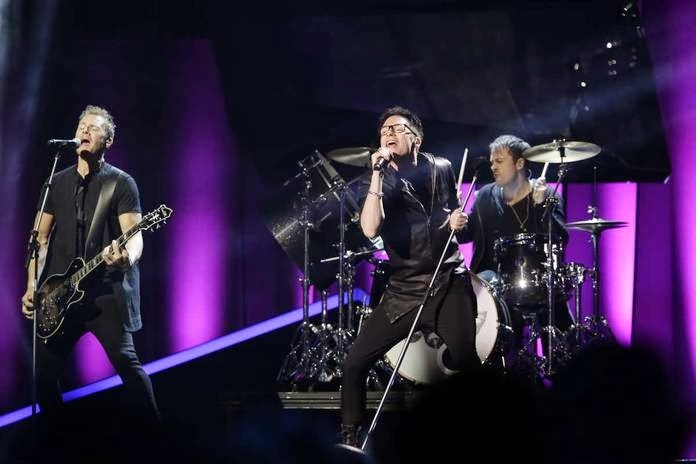 Unfortunately the group are in that "spot of death" which as in Eurovision guarantees only failure. M: She looks like Toyah! This song has a very 80s electro feel and we both rather like it. I think this is going to be one of the very few songs this year that will make it onto my iPod playlist. Mum is no fan of Anders. "Who is he? He looks like a politician. Was he a politician in a past life?" 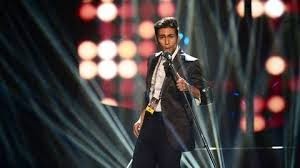 I explain how in recent years, the male presenter of Melodifestivalen has been younger and reasonably easy on the eye. Unlike Anders. M: He's even too old for me!! Next on stage, the foregone conclusion of the night. 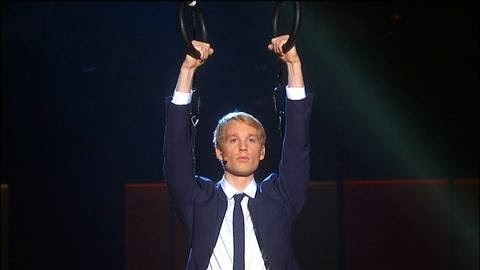 Oscar Zia: "Yes We Can"
Another song by Mr Smug himself Fredrik Kempe. It sounds like one of Max Martin's leftovers and conjures up memories of N*Sync, and it's staged like an Eric Saade cast-off. Oscar won't be saying bye bye bye to the contest though. Can he make it to the final? Yes he can. M: He'll get votes because of his looks. L: It's a bit bland and generic for me, nothing special about it. Wind machines ahoy! We are now in the "death by fashion" section of the evening. Recent song contest history has shown how styling can make or break a song's chances. Shirley turns out to be the Moje 3 of Heat 3. M: She is a good singer but that dress....ugh. Worst looking thing ever. L: This is a fashion nightmare. We spend the rest of the song talking about how bad the dress is. Probably the whole of Sweden is doing the same, and not actually listening to the song. Therefore, this is not qualifying. State of Drama: "All We Are". M: That painting (the postcards) is annoying me. L: This is nowhere near as good as the song they did last year. M: I'm not interested in hearing about 'last year's song', that is in the past. This one is annoying. L: The repetitive chorus is really getting on my nerves. Extremely annoying. M: Probably only took them about 2 minutes to write. L: They seem a lot more arrogant this year than they were last year. Getting a bit full of themselves now. Next! Cajsa-Stina Åkerström: "En Enkel Sång". I'm not familiar with her work but I'm guessing that like many of the 'older' artists in Melodifestivalen, she's not in it to win it but to use it as a shop window for her new material. Cajsa-Stina walks the catwalk to "Wild World" which gets mum's approval. 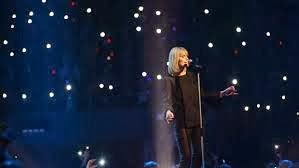 She looks like a blonde Sandie Shaw, and performs her 'simple song' on the satellite stage. Very well staged with everyone waving little lights and a ticker-tape finale. M: That was quite nice and might do well. L: I think there's too many other potential qualifiers tonight though. Unfortunately, this week's show is dying on its a*se, but look who it is! Only Bjorn Gustafsson to the rescue, hanging from gymnastic rings, and indeed hanging around just a bit too long and overstaying his welcome. M: Who the hell is this? L: Remember when Salem was in the final with "Keep On Walking", well, he was the other guy on stage with him. And he once memorably appeared as Swedish jury spokesperson in Eurovision, awarding 12 points to Sweden. He is a very famous comedian in Sweden. M: Well I don't think he's very funny. 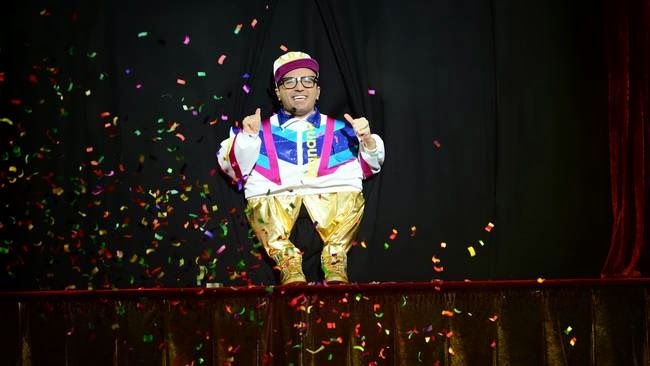 Bjorn is also of course the guy who did the interval acts a few years ago and became very famous as a result. But now the whole thing just looks like a desperate attempt to salvage a very poor show. Bjorn finally flies off, as does Mum who has had enough and is off to gather her thoughts and escape the tedium. Ace Wilder: "Busy Doin' Nothin'"
Another song by the Debs - it's a very busy night for them - and Melodifestivalen debutant Ace is walking the catwalk to Hollaback Girl. Which sets her up nicely for what surprisingly turned out to be one of the surprises of the night. Although she's still a bit iffy vocally, and the sentiments of the song a bit dodgy in places, this has grown on me and I think I'd listen to it again after the contest, even if it is clearly "influenced" by Icona Pop's I Love It. Dr Alban and Jessica Folcker: "Around The World" . They look good in their white outfits, and it's not as car-crash as the 1 minute clip, however the good Doctor fails to prescribe a top class performance. Jessica is great though and it's a pity that she's dragged down by the substandard 'singing'. Mum returns in time for the recap and the rest of the show. The interval act this week, "Sochi The Musical" may have had the best intentions but went right over my head. There are people on stage in gold skin-suits; mum thought they were naked ("nothing would surprise me about this show"). There was some good old fashioned Sweden-Norway rivalry, and Gustafsson is back again, dressed in a gold siamese-twin Olympic skinsuit with Nour. And then he goes and does something very, very stupid indeed. One word - #gropegate. Top 5 time, with Outtrigger, Ace Wilder, State of Drama, Oscar Zia and Dr Alban and Jessica Folcker going to the next round of voting. Shirley 6th place, Cajsa-Lisa is 7th, and the song which probably impressed me most this week, "Red" by EKO, finishes last. There is a silly football-themed sketch, a guy peeing, and a big wheel out of control. Quite frankly, you have lost me by now. M: What's this got to do with anything? Then there is a little tribute to Alice Babs, who passed away a few days ago. As expected, Oscar Zia is on his way direkt till Friends. M: It's his looks what won it! L: As I said earlier, it's like a wee Max Martin cast-off. M: Sounds like a lot of other songs. Pretty ordinary. It's the two rock bands, Outtrigger and State of Drama, who go to Andra Chansen. M: "All We Are" is sh*te. And you can put that in your blog post. But who's going to the final? Only Ace Wilder! Dr Alban and Jessica's car-crash number ends up in 5th place. Mum missed "Busy Doin' Nothin'" when it was performed earlier, but she's quite amused and likes Ace. M: Chain-gang onesies! This is alright. Very modern. Above: winners Ace and Oscar celebrate reaching the final. Who cares about the Brits, when you've got the Swedish Grammis? ...and the other from a small country with a never-ending pool of musical talent and diversity. 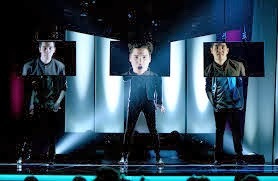 You can't really measure that by Swedish award shows of course, which remain under Mr Hellström's spell; however while we got James Corden (is there no beginning to the man's talents?) Sweden got Ray Cokes. Yes, the legendary Ray Cokes, Mr 'Most Wanted' himself. Oh, and my all-time favourite Swedish artist, Salem Al Fakir, got an award for best composer. 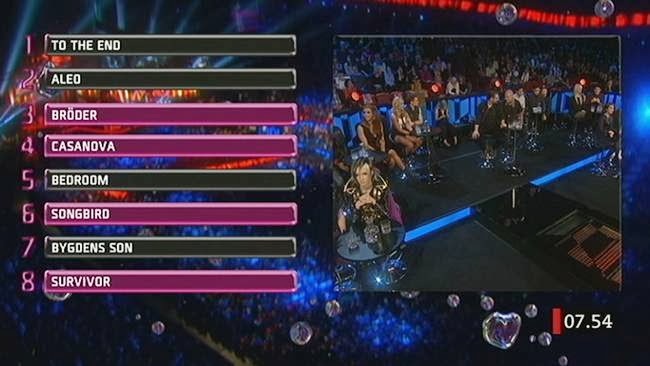 And even if all my other favourites didn't win, things are still always better in Sweden. By the way, I'm reviewing the minute-clips rather than the studio versions: I've had the rare but welcome opportunity to work overtime today and therefore am now on the catch-up! Now I'm partial to a bit of rock but I prefer it to be more melodic rather than all the screaming death metally stuff. Outtrigger first came to our attention of course with that "You" cover. My mum isn't going to like the screaming. Bits of this aren't too bad though - it's going to qualify, I just don't know what to. From Echo to EKO. They won the Svensktoppen contest thing, the new version of the webbjoker. Does that automatically entitle you to the "spot of death" in every heat? Looks like it here. She is very striking with her long red hair - I have to show some solidarity here with my fellow long-red-haired girls, (although I've briefly abandoned it for a brief brunette phase) anyway this is very unusual and atmospheric and it may grow on me - but it's not a qualifier. Silly sha-la-la-la-la lyrics in the chorus but that won't matter as Saade 3.0 - or is it Ewald 2.0? - will win over all the girls (and boys) who have probably found a new pop boy to love. The song is rather genetic and average though on first listen. OK, first impressions - you know what we all say when we hear a new Shirley song? "well it's not Min Karlek, is it?" Get past that though and this is a decent enough ballad although I'm imagining a dance-remix of it in my mind already. The piano line is a bit "Grenade" isn't it, if we're looking for musical reference points? The key change goes all Quedate Conmigo on us, and that's a good thing! State of Drama: "All We Are"
Big ol' hands in the air rock anthem, although the verses don't really fit the chorus. It may make more sense when I hear the full version, although it doesn't really sound special enough to stand out and I don't like it as much as their 2013 song. It sounds as if it should be soundtracking an advert or something. Cajsa-Stina Akerstrom: "En enkel sång"
A simple song, and it is too. A country ballad performed by a lady with a warm and mature voice. I'm not familiar at all with any of her music, however this could 'do a Hoffsten' (as no-one's calling it) and qualify as it taps into the same market as the dead fish woman. It's a bit on the boring side, but I think I prefer this to the dead fish. I think this will divide people, this one. Icona Pop and their fans will probably find it the sincerest form of flattery, but it's far too messy, chaotic and amateurish to progress any further. Maybe I need to hear it again to really make up my mind. Dr Alban and Jessica Folcker: "Around The World"
Based on the rehearsal clip, I think this will be very popular tonight at EuropeCrazy for all the wrong reasons. 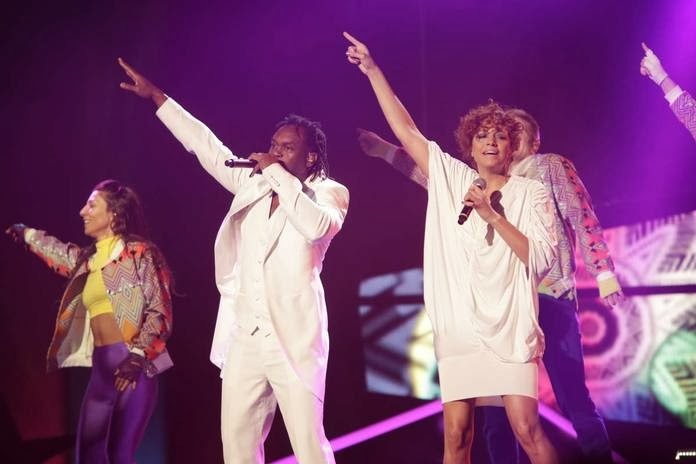 Jessica's vocals are fine, but the vocals/rapping of Dr Alban - the legendary Dr Alban! - are in the so-bad-it's-good camp. Good draw position, but if he doesn't up his game he won't be going to Stockholm, never mind 'around the world'! So yet again we've got the old HDMI cable wired up to the telly, but problems quickly emerge with the SVT stream and don't really resolve themselves for the remainder of the show. The opening act - "Congratulations" sung in Swedish! - is clearly some kind of 1974/1984 anniversary commemoration of Abba and the Herreys winning Melodifestivalen. And now on to the songs! Oh look, it's G:son! Now you never see him in any national finals, do you?? Unfortunately a blurry stream results in a prolonged conversation about how grandad in Mrs Brown's Boys always reminds me of Mr G:son. Yes peeps, it's that kind of night. There is something about this which is reassuringly amateurish, yet there is a Will.i.am and Britney feel to this which is very contemporary indeed. Apparently they were on Swedish X Factor, which may possibly be a good thing for them. So on first glance the singer looks as if he's dressed as the flag of FYR Macedonia. The song is pretty hideous, they've got what looks like Sheila's Wheels on the backing vocals and mum is distracted by the splits-guy's boots. She's not as excited about the song though. M: They must have written that in about 5 minutes. L: This is utter pants. Next! Mum is not used to watching internet streams, whereas I'm happy to put up with pixellation in the name of Melodifestivalen. We may not be able to see Manda properly but her nails are a big talking point here. As for the song, it has definitely grown on me and I think it would do well if sung by a more famous singer rather than the unknown Manda. Their catwalk music is Magic System and I tell mum all about 'Dansa Pausa' and how it was a massive hit in Sweden. Mum is impressed by the fact that in Sweden, hit artists are not afraid to enter the contest and risk failure. This song has a very catchy chorus although, for me, the verses don't measure up. Pink Pistols: "I Am Somebody". This one's my favourite of the night so far. I didn't realise till tonight that the girls weren't girls after all! Mum: Not a bad song. I like the name - Pink Pistols! L: Yes I like this. Although the song title could have been more prominent in the song. It's more like an afterthought at the end of the chorus. AKA the one 'influenced' by Wrecking Ball. I tell mum about Sanna's numerous appearances in Melodifestivalen. Mum is not impressed. L: I've never been a fan - I could never warm to her. M: I just don't like this type of singing or this type of song. Little Great Things: "Set Yourself Free". Mum gets a little summary of the 'family tree'. I liked the sound of this on the Thursday night clip, however was less impressed tonight. The lead singer's voice grated on me and the whole thing was vocally ropey at times. Which is a shame as I usually enjoy the rock songs in Melodifestivalen. Martin Stenmarck: "När Änglarna Går Hem". L: Martin used to have a lovely head of hair. You fancied him the year he was in Eurovision. L: Yes. And so did I. He still looks alright. The chorus is in the "Tell The World I'm Here"-anthemic vein, however the verses are unimpressive and forgettable. There are too many flashing lights and effects, obscuring Martin much of the time. Resultat time. Sanna, Refreshments (ugh), JEM, Panetoz and Martin to the next round of voting. Little Great Things miss out in 6th place, Pink Pistols 7th and Manda 8th. 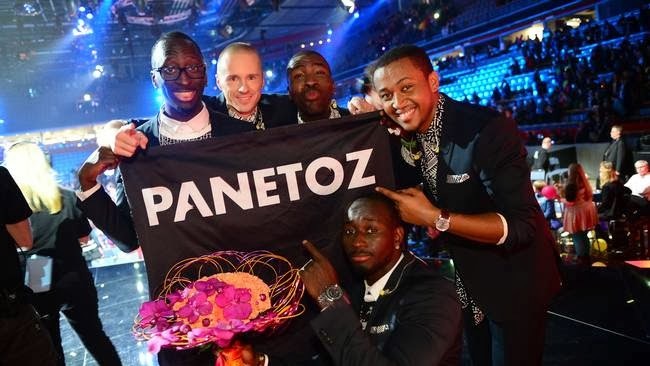 Whether or not Panetoz qualify, I think their song will probably become the biggest hit from this week's contest. Mum does not like Melodifestivalen, much as I try to convert her. M: I can't get into all this. The difference is that you're familiar with all these singers and songwriters and presenters but I'm not. And I can't watch that blurry picture. L: (laughs wickedly) And there's 4 more weeks of it to go! They're advertising the Lilla Melodifestivalen thing again. Yes, you too can appear in big Melodifestivalen if you start off on the kiddie version. Nour received some criticism last week for her nervy performance, but she seemed more relaxed and confident this week, dressed in a wine-coloured jumpsuit (or whatever the young folks call them these days). Mum is unimpressed by Anders, for purely aesthetic reasons: "All those good-looking Swedish young men and they pick him!?!" Both presenters however are about to be upstaged by a little girl named Sigrid with her blue and pink hair and a drawing of Yohio. She stole the show and did the splits. But can she sing? Lilla Melodifestivalen beckons. 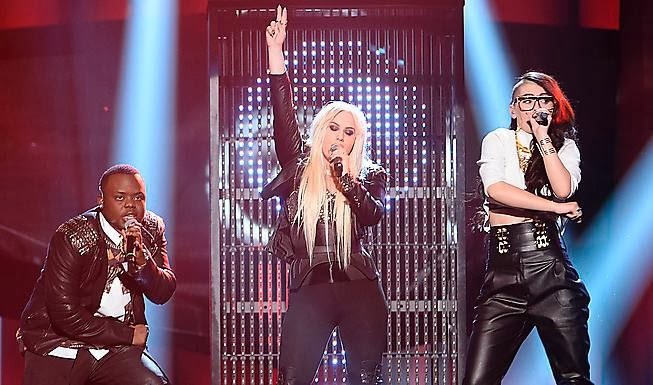 Two weeks in, there is still something missing from this year's contest, which is lacking sparkle and the event-quality which long-term Melodifestivalen fans have come to expect. The quality of the songs is average rather than spectacular. The Swedish media is blaming the poor scripts, but for those of us non-native speakers, the presentation just appears dull, the postcards useless, and the whole thing has a going-through-the-motions feel. So if you remember, there was no interval act last week and we all complained about it. But be careful what you wish for - because this week we got one. Sean f****** Banan, with his take on what for me is one of the worst ever Eurovision winners of all time. M: I remember that Diggiloo Diggiley. It was rubbish. If that's the interval act, you're better off without one! It was a rotten song the first time round and it's still rotten! Banan gives way to the real Herreys. 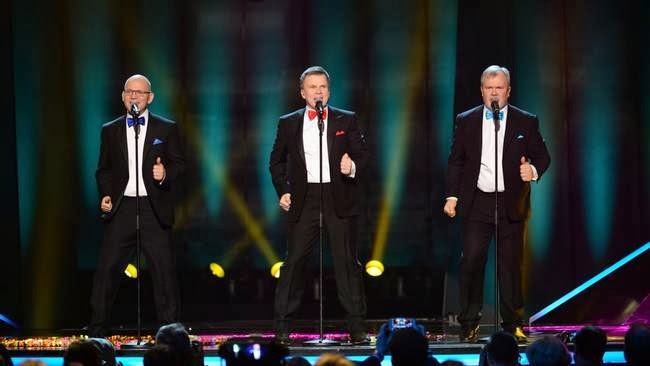 There is something pretty second-hand about all this, as they appeared in last year's brilliant DMGP final as part of a previous-winners segment. But now it's time for the result. No surprise that Sanna is direkt till Friends. Which means that she gets to reprise the song. This one started off as 'ok' with me but it becomes worse with repeated listening. JEM go to Andra Chansen and I'm quite happy about that as it's a more contemporary song, but they still need to polish some of the rough edges. 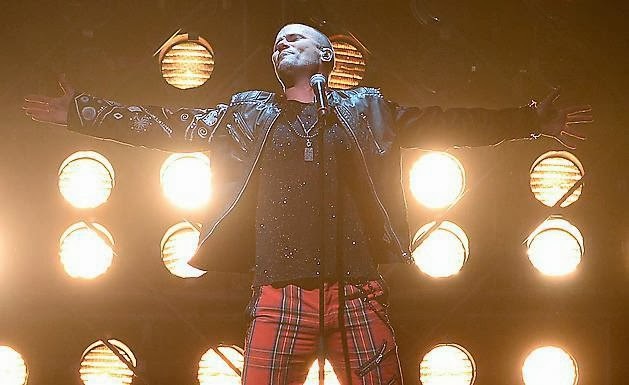 Martin also goes to AC - the second week in a row that the Swedish public has sent a message that just because you're either a Eurovision or Melodifestivalen winner, don't take it for granted that you're an automatic qualifier to the final. J.E.M. : "Love Trigger" - so this is like we're now now rocking with Will.i.am and Britney...anyway there's a cheerfully amateurish quality to this. The Refreshments: "Hallelujah" - on first hearing this is really vile, I can't find any other words to describe it. Manda: "Glow" - she's obviously going for that Kelly Clarkson/Katy Perry song style but we will probably spend the whole song being distracted by the violinists in the sky high frocks. This is quite nice but I'm not sure about her voice. Panetoz: "Efter Solsken" - their catwalk music is going to be Premier Gaou which is pretty cool, as I liked that song a few years ago. 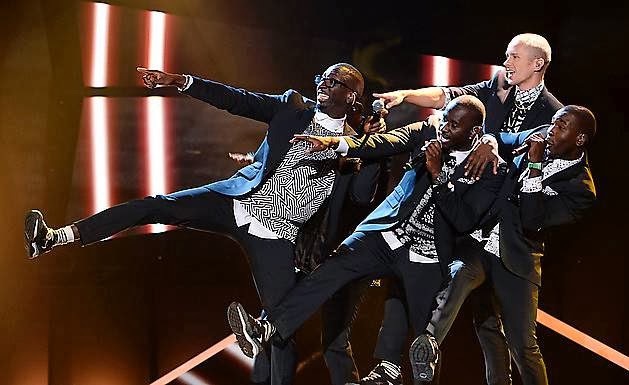 Panetoz would probably aspire to be a Swedish version of Magic System, but this sadly goes nowhere and doesn't have the addictive quality of their summer hit Dansa Pausa. Sanna Nielsen: "Undo"- hopefully she will not come in like a wrecking ball. Or indeed, on one. I'm not a fan of hers but this sounded pretty ok. It needs a big ol' dance remix though. Little Great Things: "Set Yourself Free" - these are Nanne's boys of course and on first hearing I liked what I heard. I think this could be one of the songs from this year which I'll listen to after the contest. Martin Stenmarck: "Nar Anglarna Gar Hem" (sorry for the lack of umlaut type things but my Character Map isn't working tonight) - now you know I'm partial to this kind of anthemic Coldplayish kind of song and Martin does it pretty well. The down side is that he seems to have offended the stylist for some reason. Now I'm not one for new year resolutions - they don't work, admit it - but at the beginning of this year I set myself a goal of reading a book every month and then reviewing it at the end of the month on this blog. The first book of the year is actually an old favourite, which I received as one of my Christmas presents in 2006, if I remember correctly. As we're heading into national finals season, there's no better time than to revisit "Nul Points" by Tim Moore. Moore is the author of several highly entertaining travel books - the most familiar of these for me was "French Revolutions", a very funny book about the Tour de France, which was published back in 2001. Nul Points is a grammatically incorrect but instantly recognisable phrase which describes all those Eurovision entries over the years which never received a single point. In these days of the mega-contest it's virtually impossible for a song to receive no points, but back in the pre-semi final days of a smaller contest, it was a regular occurrence. Regular enough for Tim Moore to get a book out of it. 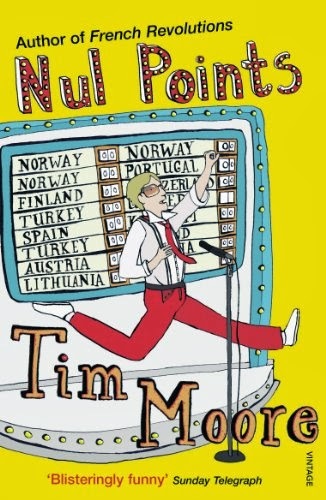 The book begins with the ultimate nul-pointer, the legend himself, Jahn Teigen who secured his place in Eurovision history in 1978 and stars on the book's cover in cartoon form. As Tim makes his way round the world to track down numerous nul-pointers, it's a fascinating contrast between the glorious failures such as the triumphant Jahn whose career was boosted by glorious defeat, and the bitterness and regret of subsequent Norwegian nul-pointer Finn Kalvik; or the dark feelings of Portugal's finger-clickingly unfortunate Celia Lawson who claimed: "so many bad things happen to me - and yes, they all began with Eurovision". But for every Finn or Celia there's a Tor Endresen or a Kojo who enjoyed the ride and laugh off the experience. It's a fascinating read, and you don't need to be a Eurovision expert to appreciate the book. The best thing about it is that Tim Moore skips the default-setting derision of most British journalists for something a lot more respectful; don't expect a superfan-book either, but just an enjoyable read with lots of genuine empathy and affection for all those guys and girls who've propped up the scoreboard over the years. So here it is, Merry Melo, everybody’s having fun. Unless of course you’re in the anti-Melo camp and were probably watching one of the two finals or the 5 or 6 other heats/semi-finals of course. As regular readers will know by now, I manage to persuade my mum to watch the contest with me every year, and so it was again on Saturday night. 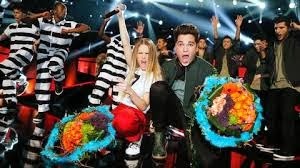 The contest began where Eurovision 2013 left off – in Malmo. But it's a new presenting team this year of Anders Jansson and Nour El-Refai. The opening number is usually a nod to the previous year’s winner – remember Gina and Danny’s Loreen routine last year? So the 2014 opening sketch was basically taking a shot at those Only Teardrops penny whistles. It maybe didn’t appeal to everyone, but I thought it was funny. So let’s get on with the songs. Yohio – “To The End”. The writers are introduced, Andreas Johnson is among them. Yohio, the one-man Tokio Hotel returns this year and is hoping to go one better than in 2013. L: Yohio’s toned down his image this year. I think this might appeal to more people than his song from last year, but that’s not to say it’s great. M: It’s a bit forgettable and mediocre. M: I’m not impressed by this. Too many changes. L: It doesn’t really go anywhere, does it? We talk through the rest of the song, which screams non-qualifier. Guy singing a song about his late brother, written by uber-smug text-och-musik eminence Freddie Kempe. M: I don’t really like this and wouldn’t want to hear it again. L: This is a strange one. It’s like the X Factor. I think the emotional lyrics might win the public over, but I still can’t really warm to this. The piercings and the tattoos are a bit too distracting. I have some more explaining to do to mum about the next song. In 30 seconds I manage to explain the concept of schlager and dansband, although it probably goes over her head. M: She’s not wearing very much, is she? L: This is total schlager but it’s a bad one and it’s all over the place. M: It sounds so old-fashioned, like something from about 40 years ago. Like an old Eurovision song. L: So much about this is so wrong. L: TFI Bedroom! I don’t care if the lyrics are mucky, this has brought a bit of life to the show. M: This is more like it. A lot more lively and modern, although the lyrics probably waste it. L: Doesn’t really matter anyway – you can’t really make them out. He doesn’t have the best voice but I’d like to hear the studio version of this. My fave of the night so far. I think this is a qualifier. I then spend the remainder of the song explaining the concept of Anton Ewald to mum…! We go from boom-boom-boom-boom to a bare-bones, less is more song. M: I think this has a really good chance of doing well. Sometimes the voters will be fed up with all the big routines and go for something simple. L: She’s really selling this one. I think this is going to qualify. I explain to mum how this reminds me of a song which did well a few years ago (“Trying To Recall”) – I’m feeling the same vibe. M: Who’s this guy? He’s not a singer. Maybe it might have sounded better if a proper singer had sung this. L: If we’re going to have an ex-member of The Ark on that stage, I wish it would have been Ola Salo. This is so not qualifying. I give mum a quick briefing on Helena’s past life as Eurovision winner for Greece. We are both nodding approval for her lace dress which is our favourite of the night. Unfortunately, the song falls short of our expectation. L: This is far too repetitive. M: She’s good, but the song should have been better. “Call me a survivor” over and over again – yes, too repetitive. We then get some before-they-were-famous clips from Lilla Melodifestivalen including Molly Sanden and Erik Rapp. So, first set of results: Linus. Elisa. Ellen. Helena. Yohio. Never mind 'never made it to the bedroom' - poor old Alvaro never made it to the final or Andra Chansen either. He came 6th, with Mahan 7th and Sylvester 8th. I'm rather disappointed that there hasn't been an interval act worth mentioning this week. So at this point I'm engaged in a conversation with mum about going-to-Copenhagen-outwith-Eurovision-week and all the reasons round about that....anyway let's have some results eh???? Firstly: Yohio is direkt till Friends Arena. Linus Svenning to Andra Chansen, as is (shock horror) Helena Paparizou - we all expected her to go direkt till Friends however she'll have to settle for a slot in Andra Chansen. So who is getting the all-important final spot? Only....Ellen Benediktson. Which my mum, aka casual Eurovision viewer, clearly predicted. 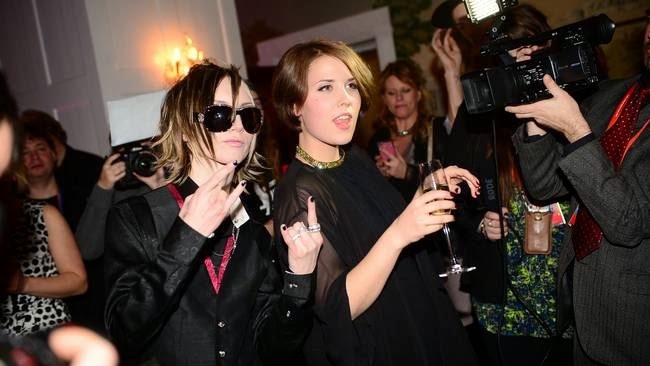 Above: Yohio and Ellen celebrate. 48 hours later, there's only one song from that line-up still on my brain - "Bedroom"! Next stop Linköping: hoping that J.E.M., The Refreshments, Manda, Panetoz, Pink Pistols, Sanna Nielsen, Little Great Things and Martin Stenmarck deliver some better songs! Yay! February is here at last, and we're all glad that January is finally out of the way. Of course we are now presented with a new challenge: how to keep up with all those heats, semi-finals and finals which have been packed into this new month, and fit in the Winter Olympics as well! Tonight is the first "Super Saturday" including the Finnish and Swiss finals. I'll probably catch these later as I had a listen to the songs and found them pretty underwhelming. It would be nice to see Softengine's "Something Better" making it to Copenhagen although I can't see it winning. Switzerland is all a bit 'meh' but they might go for that "Hunter of Stars" song by Sebalter which is at least quite quirky. There's heats and semi-finals going on tonight in Latvia, Lithuania and Hungary, and let's not forget Iceland. A Magni-free Iceland this year :(((((( it just won't be the same for me! However tonight at 7.00pm UK time, the laptop will be connected to the TV and it will be time for the first of six weeks of Melodifestivalen madness. Bad news mum....! As usual, SVT posted one-minute clips of rehearsal performances to give us an opportunity to hear what the songs sound like. So here are my foolish predictions about who's qualifying and who isn't. I'm not even going to guess if it will be the final or Andra Chansen! I have a real problem with YOHIO, because he seems to have built up this whole image and myth around himself when in fact he's just a pretty average singer. This is an anthemic and lively opener by the Johnson/Kvint team however it just sounds like a lot of other songs and there's nothing making it special. Fan power will ensure its qualification though. Maybe they didn't show the best bit of the song but sorry Mahan, this is a mess for me. I think her vocals could let her down on the night. It's a Latino-by-numbers song which will probably come 7th or thereabouts. 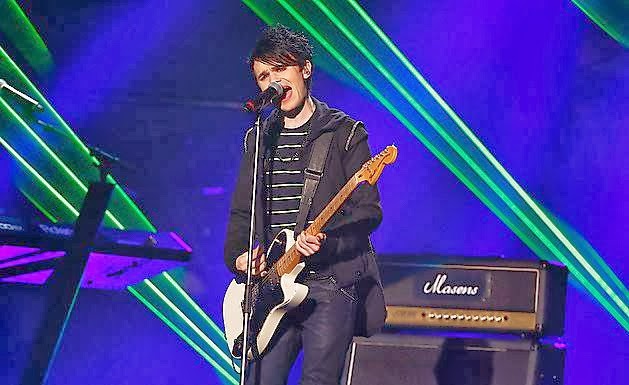 Judging by his YouTube clips, we know he can sing, but will the nerves get the better of him on this emotional song? The balance between power and emotion will be crucial if he is to make it out of this heat. OK plug in the wind machine and stand well back. It's mega-schlager time. But it's not a particularly good one, and the problem I have with this is that it's too "old" for her - you could imagine Lotta or Kikki rocking up onto the stage with this rather than a young woman like Elisa. So maybe I'm just getting old but I've read the lyrics of this one and they're seriously mucky. Basically they were at it all over the place and never made it to the bedroom. Nice. Anyway he's working the Anton Ewald blueprint and it all sounds very modern and contemporary. The only thing probably stopping him is the recognition factor as he's an unknown name, but then so was Anton Ewald. From the title to the satellite staging, this is obviously influenced by Anouk's "Birds" however is closer in style to Marie Lindberg's "Trying To Recall" and we know that did very well. I'm not a ballad fan and this is boring on first listen, however the less-is-more approach could stand out among the wind machines and dance routines. Again though, the recognition factor could hold her back. I've never been a fan of her and never understood what all the fuss was about. This has shades of a Bond theme about it and the subtle verse gives way to a big anthemic, this-is-qualifying chorus. I don't know if the Swedes will still love her as much as her loyal Eurofans do, however a decent vocal performance should be enough to get her direkt-till-Friends in what, on first hearing, is an underwhelming heat. Three definite qualifiers and two 'don't knows', well of course I'm a Libran and therefore indecisivess is guaranteed :) What else is guaranteed is that my predictions will be way off beam as usual. I'm underwhelmed by this week's songs, but I always feel that the whole Melodifestivalen viewing experience is always greater than the sum of its parts, the production values are always second to none, and on a Saturday night where the only alternatives on British telly are "Splash!" and "The Voice" (enough said) then I would imagine there will be many more people heading for that SVT live stream and we shouldn't be too surprised to see it trending on Twitter at some point tonight!